Delivering the highest innovation and performance, the PRO700 range impresses at first sight with its reduced dimensions. As kitchens get ever smaller, the PRO700 Series is perfect for restaurants that require heavy-duty equipment within a small footprint. With its depth of 700mm, the PRO700 Series maintains the standards required of Charvet equipment which suits restaurants found in town centre locations, older properties and allows for smaller kitchens to create larger seating areas. Chef Director, Alan Bird Food Etc. 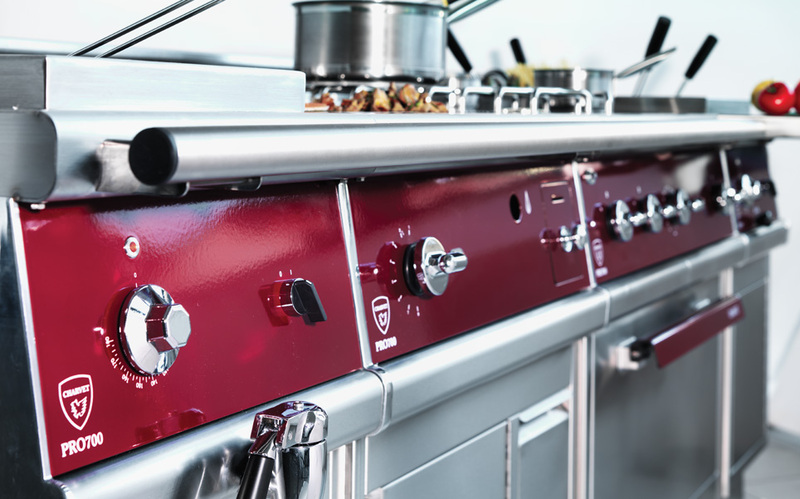 Ltd.
Providing the unique opportunity to mix over 60 cooking module bridge units with varying width bases, the PRO700 Series is the ultimate choice for flexible cooking suite design. PRO700 is packed with power and comes with a range of options, including gas, electric and induction. To find out more about PRO700, please click here to download a brochure, or email us at sales@charvet.co.uk.